With the development of the Internet, many people don’t have to spend eight hours at work. Working online from home is not new for modern society. Blogging has grown popular among internet users. We enjoy reading thousands of blogs devoted to technologies, cooking, traveling, etc. WordPress is one of the most widely used tools to create blogs. It’s user-friendly and easy to deal with. Still, if you are a blogger and have your own WordPress website, you should know that since it’s used by a great number of users, it’s a target for hackers. What should you do? You might think that you never fall victim to hacking, but it’s better to be more careful and take some precautions to prevent it. So, without further ado, let’s delve into details now! Though the specialists of WordPress team do a lot to keep with the time and always release new updates, that’s not enough for you if you just rely on them. You need to know everything about the CMS your blog is based on, including its vulnerabilities so that to keep it far from hackers’ prying eyes. Need detailed explanations? Find them further in the guide. SQL (Structured Query Language) attacks are considered as ones of the easiest to perform and consequently, they are more frequent than others. What are the SQL attacks? SQL attacks take place when a user, who is not authorized, can change your website’s database communications. A hacker can access the database files and data about users to compromise them. This kind of site attacks takes place even more often than the above-mentioned SQL attacks do. Fortunately, it is believed to be easy to fight with. An unvalidated redirect happens when hacking attacks result in forwards from your site to unknown malicious web pages that collect user personal and sensitive data. Backdoor attacks are more advanced and connected with the website’s vulnerabilities hidden in its coding. What are the backdoor attacks? First, hackers define what points are susceptible in the coding of your website. Then they use them to interfere in the authentication process. As a result, they gain access to the database of the targeted site. The following attacks are dangerous and can lead to serious problems with access to your website. One of the worst outcomes a website owner can face is access denial to the site. What are the brute-force attacks? Brute-force attempts to use errors to access the back end of a website. If a brute-force attack is successful for hackers, sensitive data and the database become available for them. 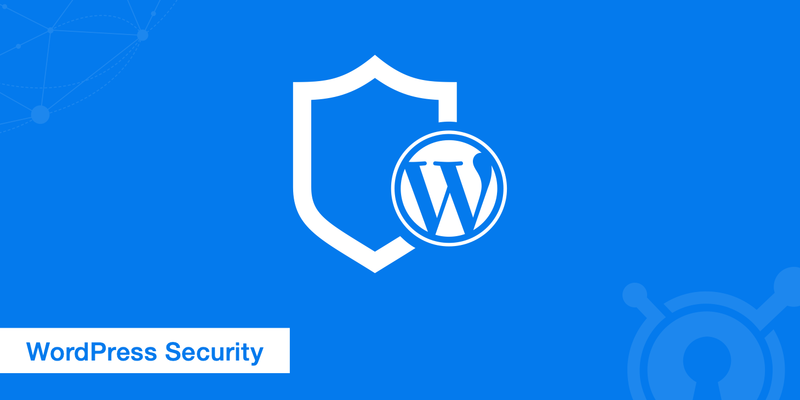 Now, when you know about WordPress vulnerabilities, it’s time to learn how to prevent them. How to avoid SQL attacks? It’s more difficult for hackers to access the data kept in the database of your website if it is thoroughly encrypted via Virtual Private Network. Moreover, in case your website collects some data about users, your readers will feel more secure if they know their information is under protection. You’d also better to recommend your readers to have their Internet encrypted as well (you’ll get more information about VPN hacks for WordPress security further in the article). Using a good WAF will help you to protect and identify potential hacking attacks before they actually take place. For example, the Cloudflare WAF solution is quite reliable for WordPress safety. How to prevent redirects to malicious sites? You should never use redirect links in your blog. They let hackers make use of them and compromise your sensitive data. In case you can’t get along without them, cut the number of them to a minimum and follow the advice below. You should be aware of the redirects on your website. Be sure you check the links of your website at least once a week. Such tool as Redirect Detective would be helpful for you. How to combat backdoor attacks? If you care about your website’s security, you should do its scanning at least 1-2 times per month. Scanning helps to detect potential backdoor attacks and prevent your database from being hacked. There are many useful tools such as SiteCheck to do it. Set up security plugins such as WordFence Security to prevent hackers from compromising your sensitive data. How not to fall victim to brute-force attempts? It’s hard to create a strong password on your own. Use password generators for these needs. Two-factor authentication is also useful to combat brute-force attempts. This feature is integrated in the following plugins: Wordfence Security and Rublon Two-Factor Authentication. This feature helps to block unauthorized users after several unsuccessful attempts. With the course of time, we understand that a few security hacks are not enough to be well-equipped to combat hacking attacks. Now bloggers can maintain their websites sitting in a café or from home, which means they have to connect to Wi-Fi network. Public Wi-Fi networks aren’t secure, so it is vital to maintaining your WP website via VPN. You can do it by installing VPN software on your PC. It’s worth noting that before you decide to set up a VPN on your computer, you should look through users’ and expert reviews on websites like bestvpnrating.com, whose team works on such unbiased reviews for users. Remember that your website’s security depends largely on you. You have to undertake precautions to avoid hackers from unauthorized access to your website. Follow the guidelines in the article and make your blog secure!